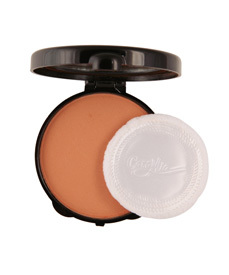 Stop shine and set your make-up beautifully with Cara Mia’s Compact Pressed Powder. This luxuriously pressed powder delivers natural, skin enhancing coverage, leaving a soft matte finish. Excellent for all skin type, use it alone or enhance your perfect tone with Cara Mia’s Liquid or Cream to Powder Dual foundation. All 11 shades are true tropical skin tones that smooth on easily and never look to powdery or dry. Perfect for touch ups, anywhere, anytime.